POLY MASTERING was founded in 2001 as an independent world class music production and mastering studio. After two years of extensive renovation and redesign, we resumed our normal business operations in 2014. Today we have a great sounding mastering room equipped with amazing ATC speakers and high-end analog and digital mastering gear. 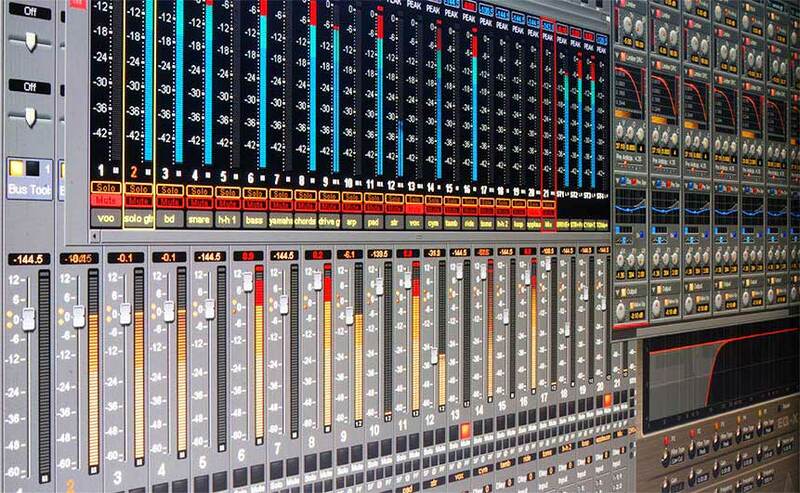 We provide online mastering music services for artists from all over the world. We offer a free mastering sample for our clients and we proudly guarantee 100% satisfaction to every customer. There are two powerful Merging Pyramix systems to serve our daily needs. Based on Merging Mykerinos DSP Cards, wired with Merging and Apogee mastering ADDA converters, it's one of the best sounding and precision mastering systems in the world. We also have metering pack and restoration pack for Pyramix systems. We are using the best analog and digital Belden, Canare, Mogami custom cables and Neutrik connectors with gold contacts, silver soldering. HOW TO ORDER A FREE MASTERING SAMPLE? MORE INFO. HOW IT WORKS. CLICK HERE. Please, send us uncompressed WAV or AIFF files in the same resolution as your project. Be sure that your mix doesn't clip. GUIDELINES. PREPARE YOUR MIX. CLICK HERE. Although as standard we provide you with a 16-bit / 44.1 kHz resolution master, we offer the option of high-resolution audio mastering. We can deliver your master at 24 bit with sampling rate from 44,1000 Hz to 96,000 Hz. Hear subtle details and nuances in your music. A high-resolution track has more sonic detail, depth, clarity and impact. You will need a high-resolution master for storage, vinyl cutting sources and music providers such as iTunes and HDtracks offer HD resolution downloads for the discerning audiophile. Feel the difference with uncompressed hi-res quality music and future proof your investment. Note: we charge an extra $9.99 for each high-resolution master. We accept PayPal payments as a convenience to our customers. Your free mastering sample will be ready for download within 2-3 working days.